Due to popular demand, Capcom is adding both a Versus Mode and Training Mode to the Street Fighter 30th Anniversary Collection. Originally, the collection was only meant to collect the arcade version of each game, but these modes will be available as a day one patch. 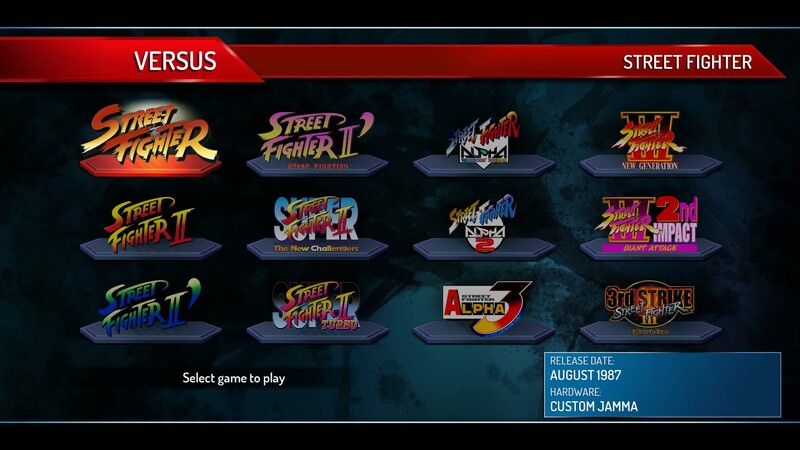 All 12 games in the collection will have the Versus Mode available. In the mode, you will be able to play locally and select a stage to fight in. However, only Street Fighter II: Hyper Fighting, Super Street Fighter II: Turbo, Street Fighter Alpha 3, and Street Fighter III: 3rd Strike feature online play. Speaking of those four titles, they will each feature a Training Mode. The mode allows for extensive customization to better hone your skills, such as dummy controls, damage display, and more. The collection releases on PlayStation 4, Xbox One, Nintendo Switch, and Steam on May 29th. Digital pre-orders for the Nintendo Switch version are now live, which can be found here for North America and here for the UK.